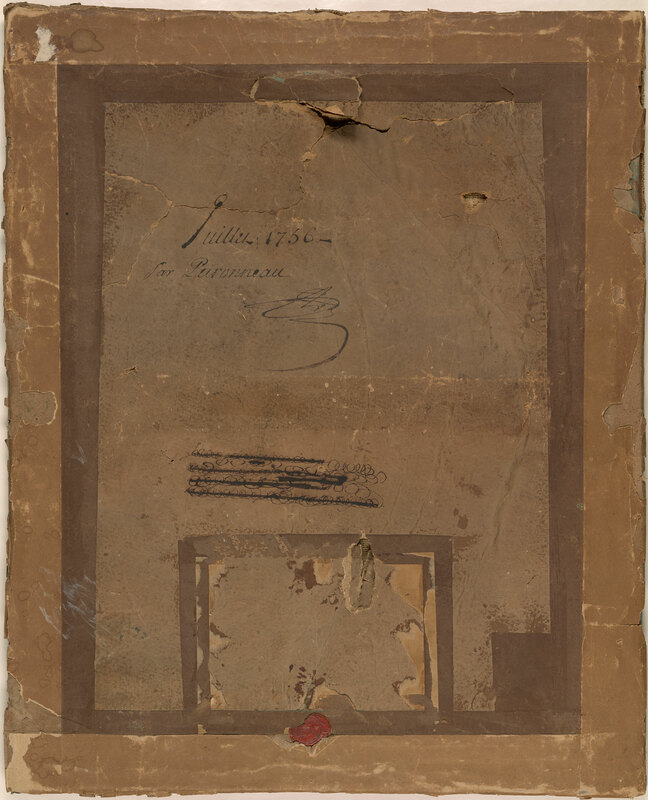 Signed at upper right in graphite, "Perronneau"; inscribed on the reverse, "Juillet 1756, par Perroneau". Sigismond Bardac; his sale, Paris, 10-11 May 1920, no. 30, repr. 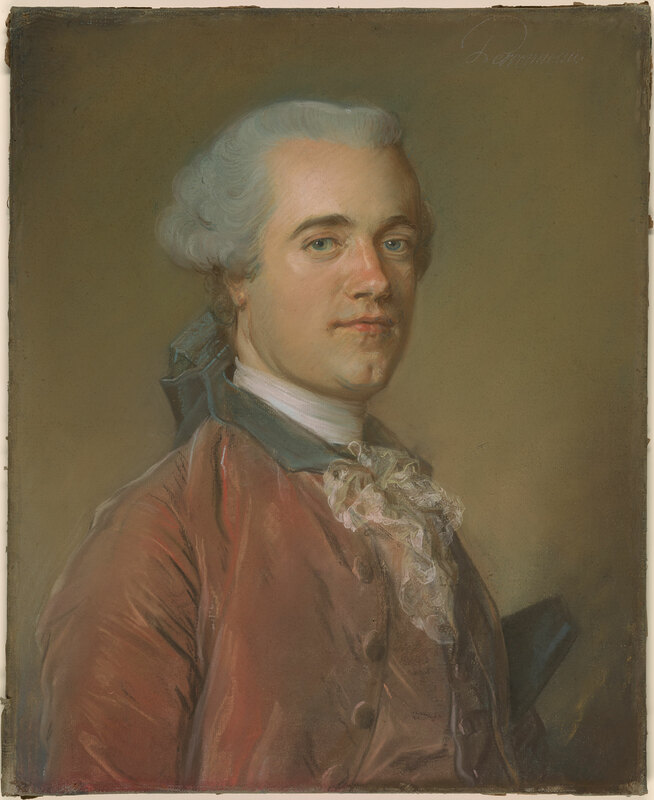 ; Jacques Stern; sale, Paris, Hôtel Drouot, 3 April 1979, lot 41 (where it is suggested that the sitter may be Jacques Cazotte); acquired from David Carritt, Ltd., London. Probably a portrait of the writer Jacques Cazotte (1719-1792). The drawing is in its original carved gilt frame surmounted by a pair of quills and bound by laurel leaves, alluding to the sitter's profession.